Jose Sanchez and Bailey Chase competed in San Antonio over Spring Break. 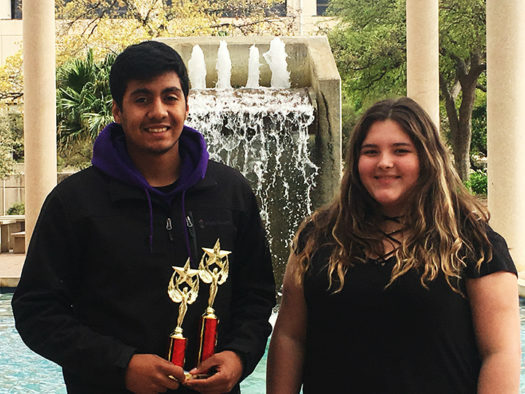 Senior Jose Sanchez and Junior Bailey Chase made their way to San Antonio during Spring Break for a State Texas Math and Science Coaches Association (TMSCA) competition. Both participated in Number Sense and Mathematics. Sanchez placed second in Number Sense and fourth in Math; Chase was 11th in Number Sense and ninth in Math. Together, they placed 6th in Number Sense and 11th in Math. Overall, they earned 12th in the team category.